When it comes to boxing, Freddie Roach is one of the biggest names. Being the trainer of Manny Pacquiao who successfully defeated Miguel Cotto and Ruslan Provodnikov last year, the Boxing Writers’ Association of America has awarded him for such fame.The said award originated from the late Eddie Futch who was Roach’s mentor. This is quite an achievement for Freddie Roach. Manny Pacquiao is Freddie Roach’s greatest trainee. This fighter has withstood so many great fighters like Juan Manuel Marquez, Erik Morales, Brandon Rios and many more. This year’s talk of the town on which this fighter has an involvement is the trash talk between them and the undefeated Floyd Mayweather. When Mayweather has released a Christmas greeting card with Pacquiao’s pictures on meme, it sparked a very hot discussion in social networks such as tweeter, facebook and instagram. So far, Raoch is bound to train Pacquiao more in preparation for his next fights. One of Roach’s popular trainees is the Golden Boy Oscar de la Hoya who is also considered as one of the greatest boxers in history. With this praises earned by Roach, he is more dedicated to making his boxer more powerful in the ring with intensive training and instruction that will modify his skills in winning the fight. He develops a good relationship with his trainees - the reason for his capacity to instruct and train them well in a very personal way. Spending so many years in the industry could lead to mastery of the craft. 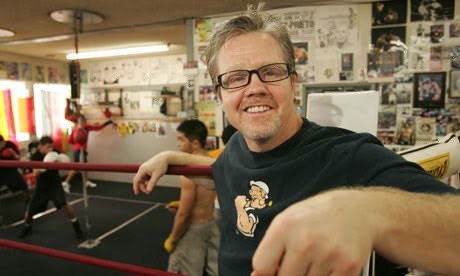 Freddie Roach is really a legacy to all boxers and trainers.